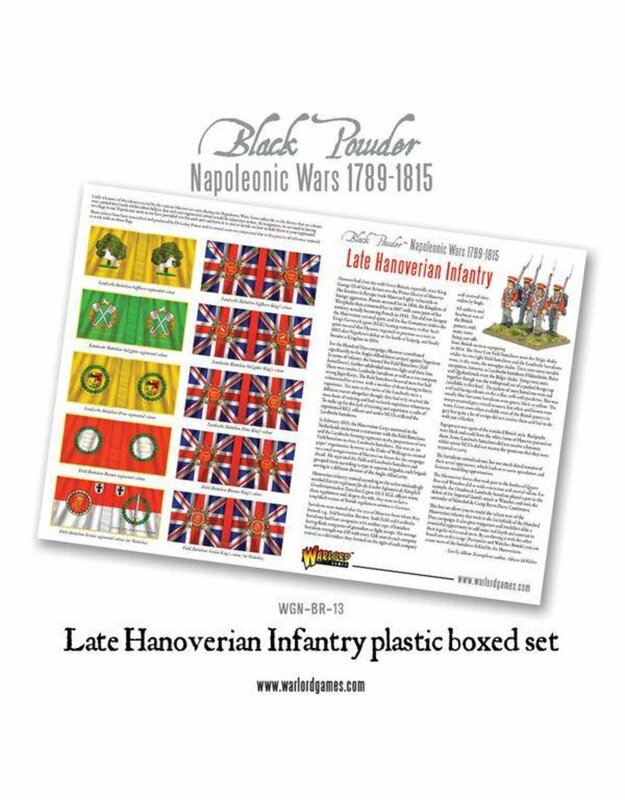 The Duke of Wellington’s armies of the Napoleonic Wars were built from troops of all manner of nations and principalities, whom on the whole were British officered and trained, and who fought very well alongside their British comrades. 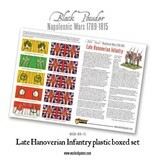 The Hanoverian troops were, of course, German. 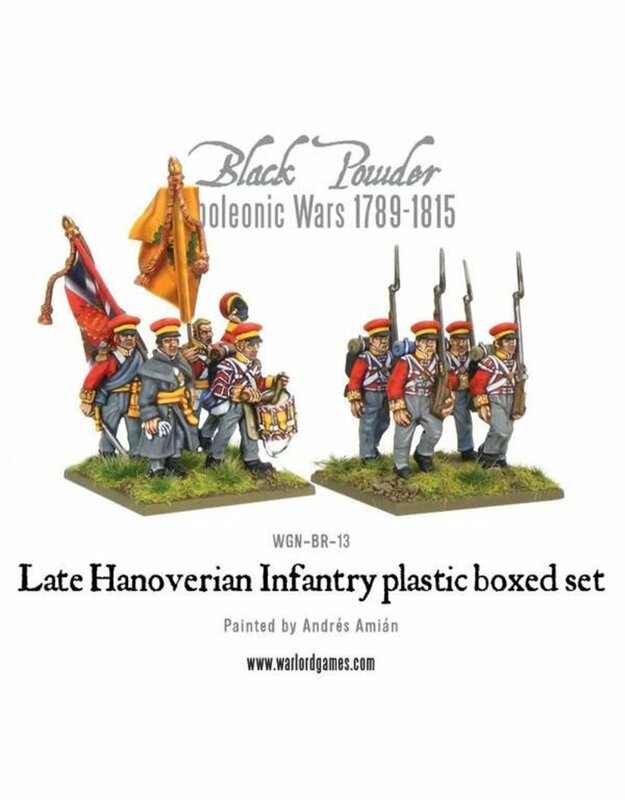 They joined up in the British army to carry on the fight against Napoleon, the tyrant of the continent, when so many of their German cousins elected to fight for Bonaparte. 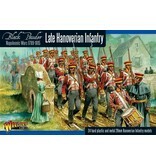 They fought the same as British line troops in a two-deep formation, carried similar colours, and followed British drill. 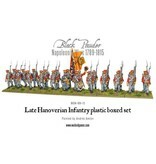 They wore either the Belgic shako, like their counterparts in British regiments or, as modeled here, the neat peaked forage cap which distinguished them from other units. 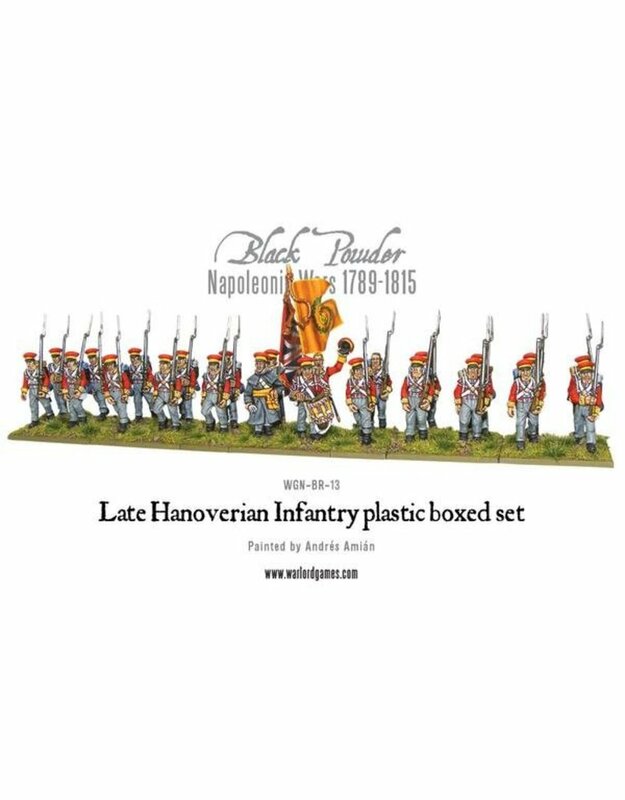 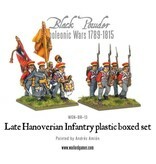 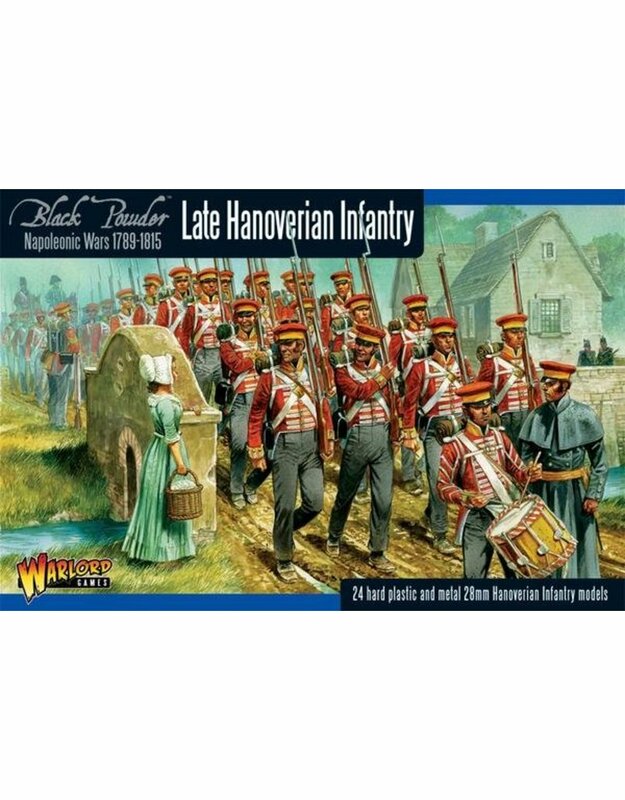 This boxed set can be fielded as a Hanoverian Field Battalion or a Landwehr unit.